Greeting from the Northeast Region Board of Directors! It is an honor and a privilege to serve as the president of the National Council on Black American Affairs, Northeast Region (NCBAA-NE). First, I would like to take this opportunity to thank YOU for supporting the Northeast Region of NCBAA. Thank you to our institutional members for campus-wide support of our organization. Thank you to our individual members for your continued support of the conference and other activities. And, thank you to our supporters and friends. With your support, we are looking forward to another exciting year. I encourage you to stay connected to NCBAA-NE by browsing our website, looking for us on LinkedIn, in your email box, and by contacting us directly. I personally welcome your feedback, input and comments. Please do not hesitate to contact me at president@ncbaa-ne.org, or any of our board members. 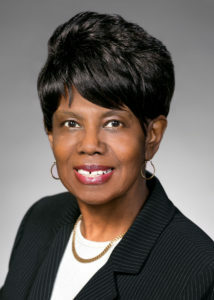 If you have any news you would like to share, please send it to Dr. Gwendolyn W. Sanders, Vice President, Public Relations at publicrelations@ncbaa-ne.org or gsanders@springfieldcollege.edu. Hope to see you at Bronx Community College in March!